In my quest to quit pasta, I have been experimenting with substitutes. 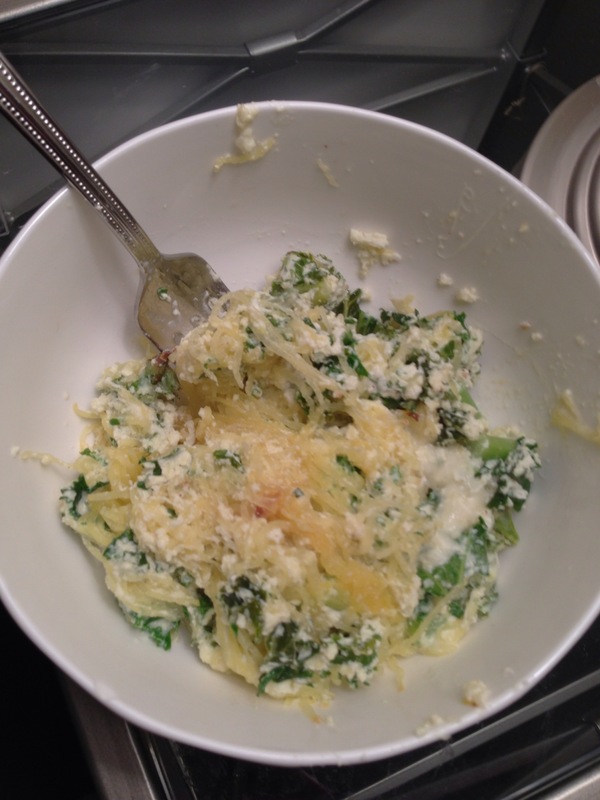 Spaghetti squash is no exception. I couldn’t believe it but it really does look like spaghetti, and kinda tastes like it too. It’s a little crunchier, because it is in fact a vegetable but you can use it as a substitute for noodles. 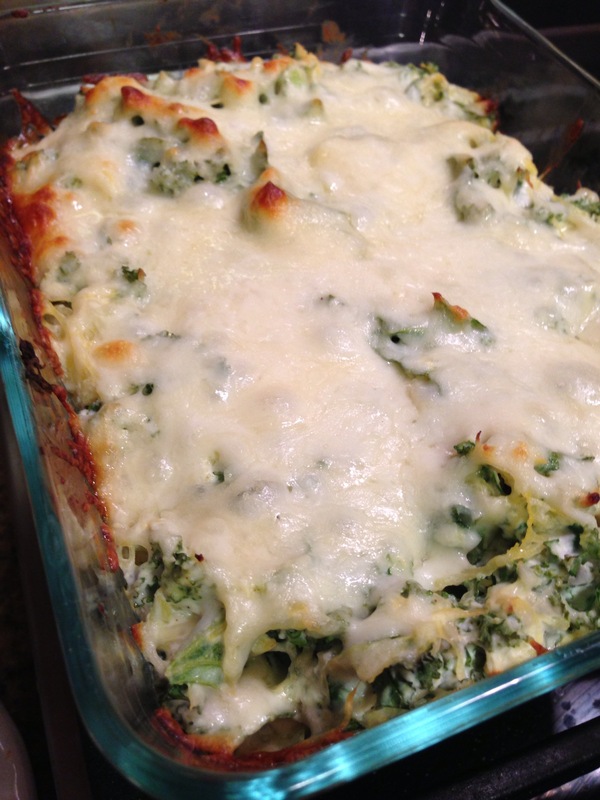 I found this recipe at Real Simple and added some of my own ingredients. 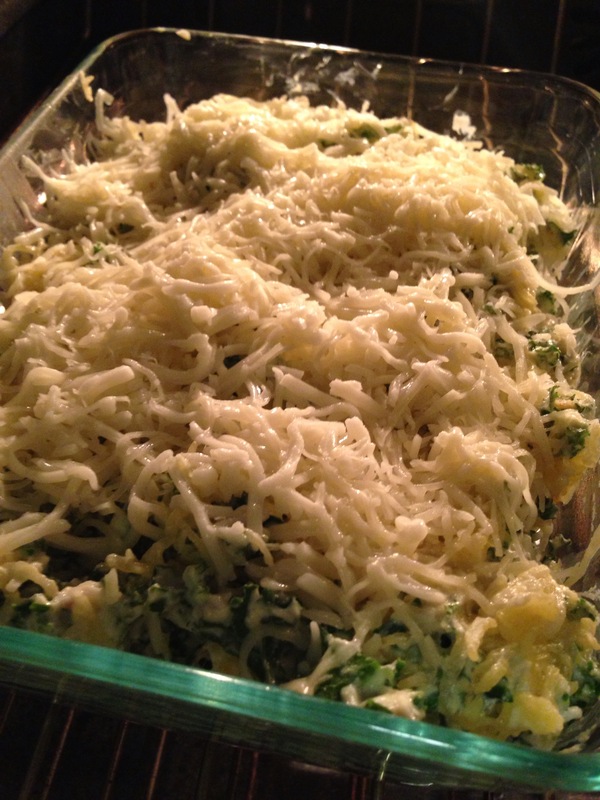 Meanwhile, in a large bowl, combine the ricotta, egg, kale, garlic, nutmeg, spices, parmesan cheese, 1 teaspoon salt, and ⅛ teaspoon pepper. 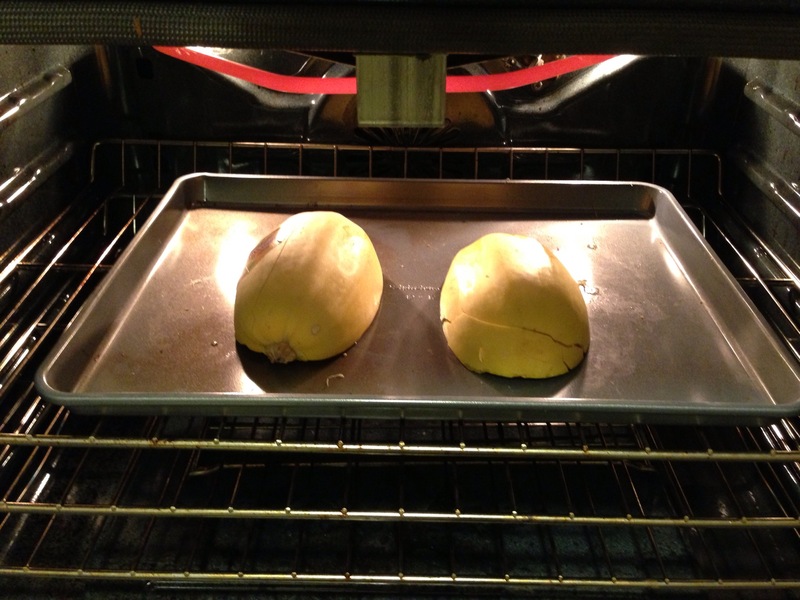 With a fork, gently scrape out the strands of flesh from the spaghetti squash and add to the ricotta mixture. Mix gently to combine. Love this! We add sundried tomatoes! The kale was very strong and bitter in this, have you thought or tried blanching it or sauteing it beforehand? or a bottom or top layer of marinara? 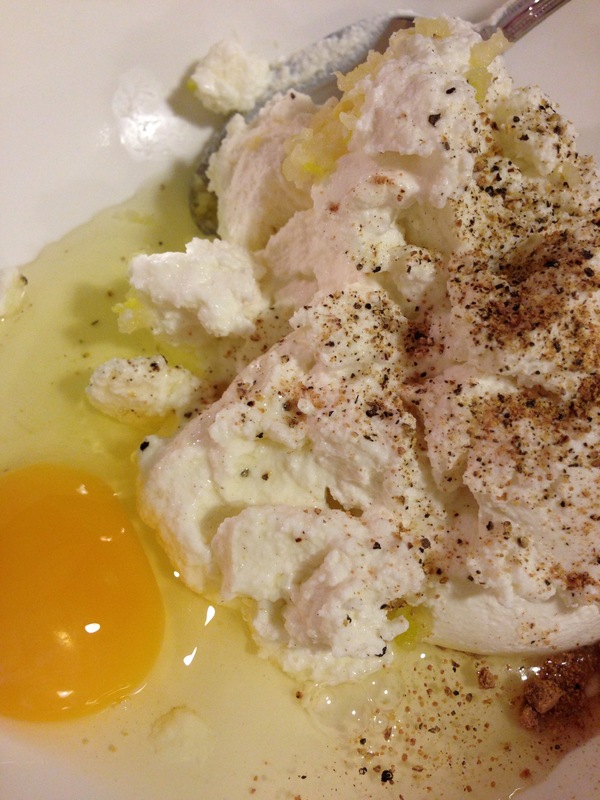 How many servings does the recipe Spagetti squash w/the egg , ricotta cheese etc make .